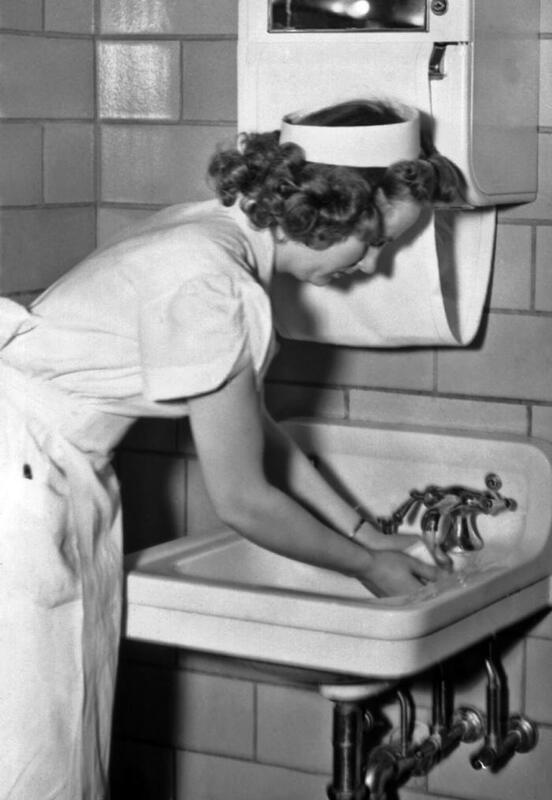 This historic 1930s photograph depicted a nurse in a starched cap and uniform, washing her hands in an improved, bacteria-controled environment. The improvements included the tiled walls, and the towel machine above the sink. The image was part of a Minnesota Health Department campaign to promote sanitation, and to prevent the transmission of bacterial diseases. In 2005, hand hygiene guidelines for healthcare workers were part of an overall Centers for Disease Control (CDC) strategy, attempting to reduce infections in health care settings, in order to promote patient, as well as staff safety.